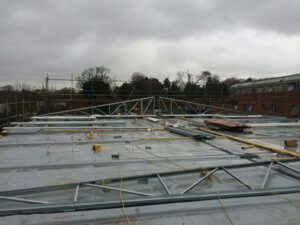 600 square meters of Lightweight Steel Trusses installed in under one day! 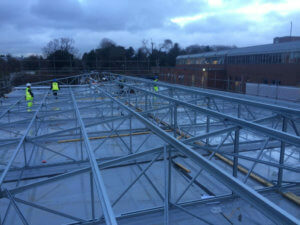 Congratulations to DSM Roofing Ltd who have successfully installed over 600m2 of our lightweight steel trusses, including purlins and all bracing in under a day! Send us your questions and we’ll write a brief article about it on our blog with the aim of helping you and others better understand the roofing industry.